Frank Genesee will review your charges with you. Find out if there is a defence to your case. How much will it cost to hire a criminal lawyer? Are you concerned that you simply cannot afford to hire a criminal defence lawyer? When you consider the consequences of a criminal conviction, including financial consequences such as having to pay hefty fines or losing your job, you really can’t afford not to hire a lawyer. But don’t worry! It costs you nothing to pick up the phone and call Frank Genesee, an experienced criminal defence lawyer in Hamilton. Make that call right now. Speaking with Frank Genesee places you under no obligation. Meet your lawyer for free. 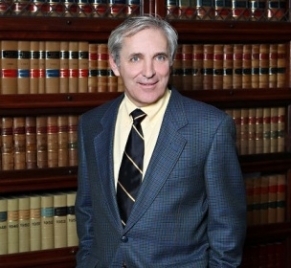 Frank Genesee offers a free initial consultation. With a free consultation, you can determine how exactly Frank Genesee will be able to help you, how much your legal fees will be, and many other facts about your case before you decide whether or not to hire Frank Genesee. Free consultations allow you to be armed with all the necessary information when you decide whether or not to hire a lawyer. There is no obligation to hire Frank Genesee after your free consultation. You are free to decide that you do not want to hire a lawyer or to shop around and meet with other lawyers. Call Frank Genesee today at (289) 426-1644 to set up your free initial consultation. Frank Genesee’s reputation and experience. The estimated amount of time that Frank Genesee will have to devote to your case. As an experienced criminal defence lawyer, Frank Genesee is able to make a fairly accurate estimate about how much time any particular case is likely to take and may therefore be able to charge you a fixed (or block) fee rather than charge you for work done at an hourly rate. With a fixed fee, you’ll know in advance how much your defence will likely cost. The fixed fee generally covers all consultations with Frank Genesee (in person and by phone), as well as all standard court appearances. If you do decide to hire Frank Genesee, you will be provided with a retainer letter to read and sign. This is written confirmation of the agreement that you and Frank Genesee have reached regarding your legal fees, payment methods and timing as well as the scope of work that Frank Genesee will do for you in order to earn those fees. 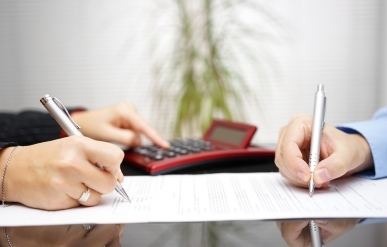 Most likely, you didn’t factor into your budget the hiring of a criminal defence lawyer. Frank Genesee understands that this is an unexpected and unwanted expense for you and that most people don’t have the ability to pay for their criminal defence in one lump sum. Depending on your situation, Frank Genesee may be able to arrange a payment plan that fits your budget, allowing you to pay your fees over time. Frank Genesee also accepts major credit cards and payment via Interac. Simply inquire if you want to make a payment using one of these methods. Call Frank Genesee today and find out if you have a defence for your charges.